20 AugWhere does prompt online live help fit in the sales funnel? With just a click of a button, customers are today able to gather information, compare features between different products and make decisions regarding their purchase. 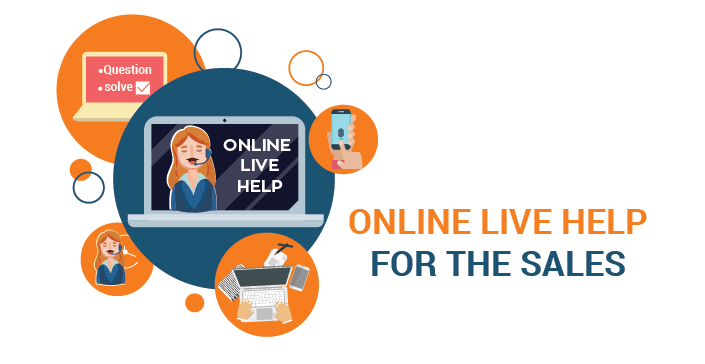 Not surprisingly, tools that offer live support on online channels are taking a prime spot in the toolkit of savvy sales professionals seeking to engage deeply with customers. Real time collaboration platform comprises a suite of tools that enable live interaction – cobrowsing, live video chats and Omni channel support that combines phone and online. Cost effective and flexible, such platforms are fast proving to be a great way to build rapport with the customer proactively in real time. Successful sales strategies in the online platform revolve around rich customer engagement and expert knowledge sharing. As customers go through the purchase cycle online, they are looking for relevant information and advice. Live support can play a valuable role at this stage. Customers typically have dozens of questions when considering a purchase – can they get another color, are there other size options, are there any other variants, what about refunds or shipping. Getting them the answers to such questions quickly and without hassle is the real power of live support. This gets even more critical when the products are high value like jewellery or electronic items, as well as in cases involving complicated discussions like purchasing financial products/services. Customers are often hesitant in these cases, having many questions and requiring a whole lot of additional information as they look to make the right decision. Companies can use the real time nature of the real time collaboration platform to address concerns or doubts in the moment. Such smart tools enable agents to move customers through the sales funnel efficiently. With regular engagement via live interactions, sales agents build a strong rapport with customers which leads to increased trust, thereby increased sales conversions and improved sales productivity. In Interactions or transactions requiring in-depth consultations, customers benefit when agents are able to incorporate visual engagement and live guidance. Video chats can be an effective format for have interactive discussions wherein the customers explain their requirements verbally and the agents can respond to it.